But before you see all the latest cottages available, let me show you that cottage I mentioned earlier: Higher Hill Barn. 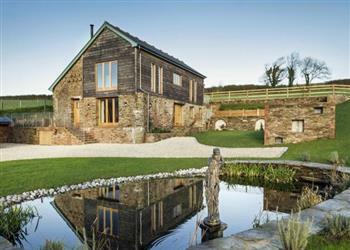 A large holiday cottage, a couple of miles from the coast, Higher Hill Barn in Kingsbridge, Devon sleeps 10. This barn conversion is nicely located in the countryside - so you can take country walks; or head to the coast for a day on the sand (or a coastal walk).